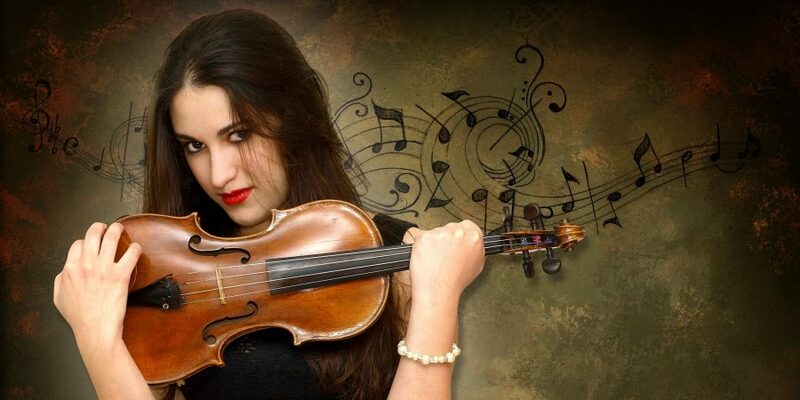 International award winning classical & electric multi-genre violinist Nadine Galea has recently performed for The Queen of England, the Royal Family & world leaders at Buckingham Palace broadcasted live on BBC 2. She’s performed private house concerts for pop star Madonna and Tim Berners Lee (inventor of the world wide web) and has been flown to Cannes by Will.i.am for a special star-studded event. She’s been featured on Classic FM and BBC Radio London, performed on TV shows such as the X-factor UK and has performed alongside artists such as Leona Lewis and Ronan Keating. Nadine performed Ravel’s virtuoso piece Tzigane to a full house as a soloist accompanied by the United Nations Orchestra for Europe Day at the Victoria Hall in Geneva. Other prestigious venues she performed at include London’s Kensington Palace, Victoria and Albert Museum, St James’s Piccadilly, The National Gallery, Houses of Parliament, Malta’s Prime Minister Auberge (Malta Arts Festival), the 02 for Europe’s largest Blues Festival and the Royal Albert Hall. Nadine is also very busy in the recording industry and has recorded for labels such as Island Records. Nadine has been sponsored by the EMI, Joseph Calleja and Janatha Stubbs foundations, private donors and several competitive UK awards and holds a Masters and Bachelor degrees from the Royal College of Music London. © 2019 Nadine Galea . Powered by WordPress. Theme by Viva Themes.